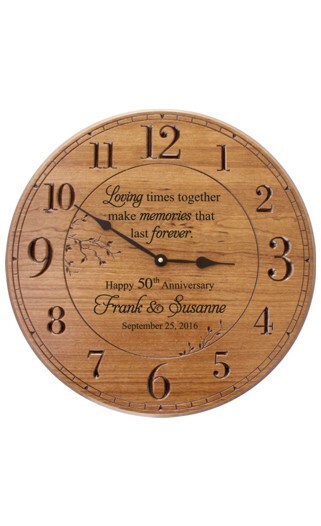 What better way to say Happy Anniversary than with our exclusive 17 inch wood clock. It is expertly lasered with a poem at the top and at the bottom, Happy Anniversary along with the couples names and date. Made in the USA, it features a light cherry finish with large carved numerals.